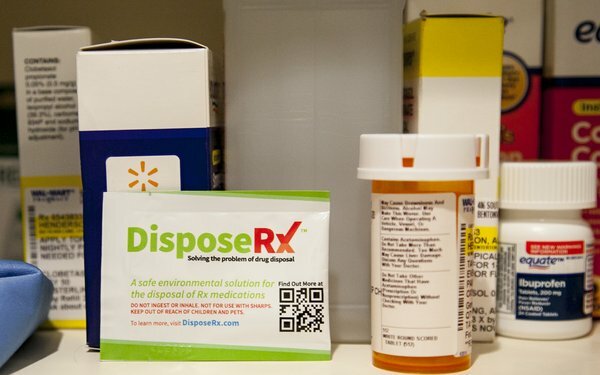 Walmart is taking another big step into healthy communities, and says it is offering a free package of DisposeRx, which safely dissolves unused medicine, with every opioid prescription. It plans to distribute product at all of its 4,700 pharmacies nationwide, including Sam’s Clubs, and claims to be the first national pharmacy chain to offer a free opioid disposal solution. It based its decision on growing awareness of opioid addiction, and the role individuals play in fueling the crisis: About a third of opioid prescriptions go unused, and more than 65% of those who misuse the drugs get them from family and friends, according to federal sources. Walmart’s move comes amid a more concerted push from all retail pharmacies to address the opioid problem, with solutions like making Naloxone, an opioid overdose drug, available over-the-counter in more than 40 states, for example, adding drug disposal kiosks in stores and organizing Drug Take Back Days. But DisposeRx, based in Washington, D.C., is the first solution people can use at home. Consumers can pour the packet of powder into pill vials, along with warm water, which turns the leftover meds into a biodegradable gel.